I recently finished a fluconazole treatment. Worked like a dream! Although cyano followed pretty quickly. I found it had some long lasting effects.. film algea was dramatically reduced for many weeks after treatment and I also had a die off of cheato. Not complete but significant. That fluconazole certainly has some underlying effects on the system that aren’t fully understood.. but in general it’s pretty positive..
Did it affect nutrient levels in your tank? My chaeto was entirely out competed by caulerpa and hair algae in my refugium. The fluconazole killed off all my caulerpa too. I'll need to repopulate the refugium after treatment is over. I did notice nto needing to clean the glass too! Nutrients wise I noticed phosphate rise from 0.03 on day 1 to 0.08 on day 3. I continued dosing carbon via TM Bacto Balance and nitrate actually zeroed out, probably due to the increase in phosphate. I dosed calcium nitrate and installed an ultraphos reactor and nutrients are now back to normal. 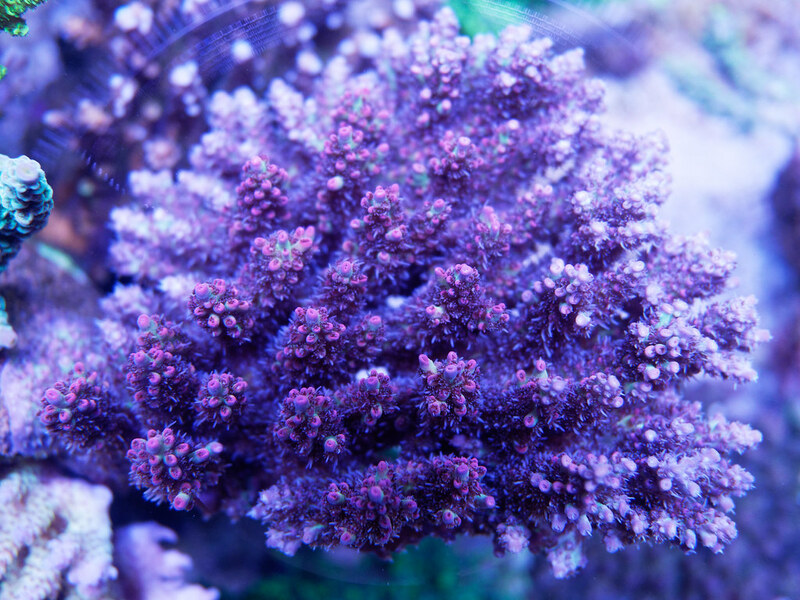 Corals aren't visibly affected but growth seems to have slowed abit based on slowly rising kh levels. Hey man ... that's a real cool tank. I'm unable to view videos ... unsure why. But I would sure appreciate more fish pics. Can you elaborate more on your nutrient export and NO3 dosing ? Thank you! Camera is still not back from repairs. I'll try to get more pictures when it's back. Man I love the mexhanical light bar idea, everyone I see one I get so jealous. You have a beautiful tank my friend. 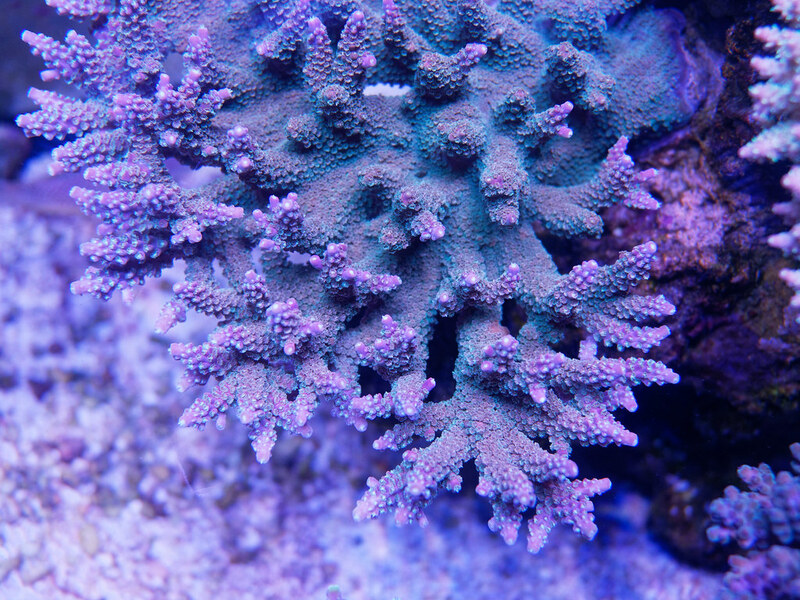 So the camera came back from repairs and I was looking at the tank top down to decide which corals to photograph. 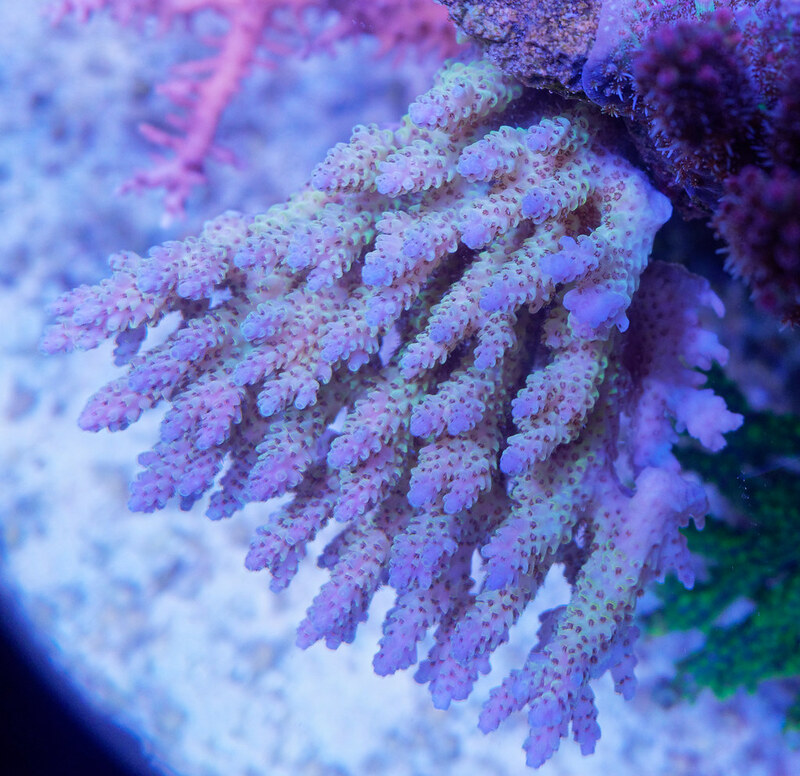 Noticed a couple of the corals didn't look so hot so I plucked one out and flipped it over... guess what I saw? Yup... bite marks. 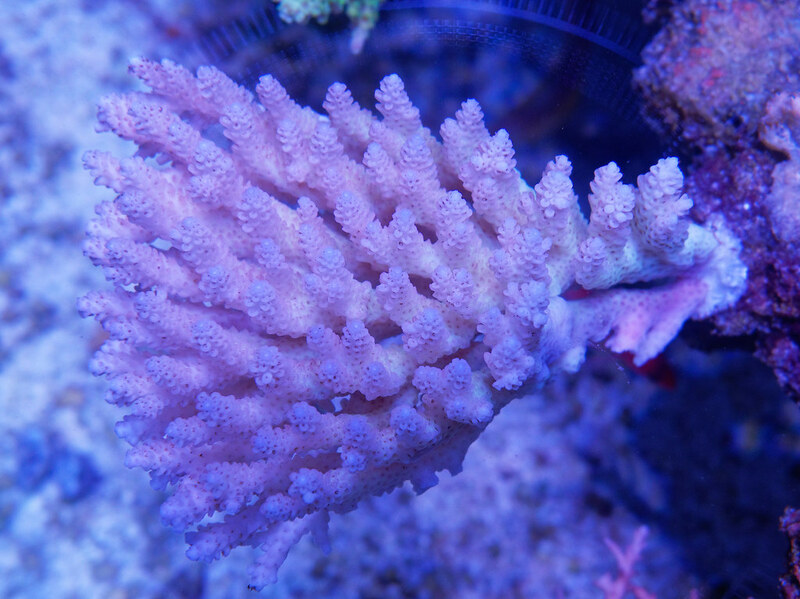 Removed all the unhappy corals for a dip and yup... the dreaded aefw fell off. Into the bin they went. 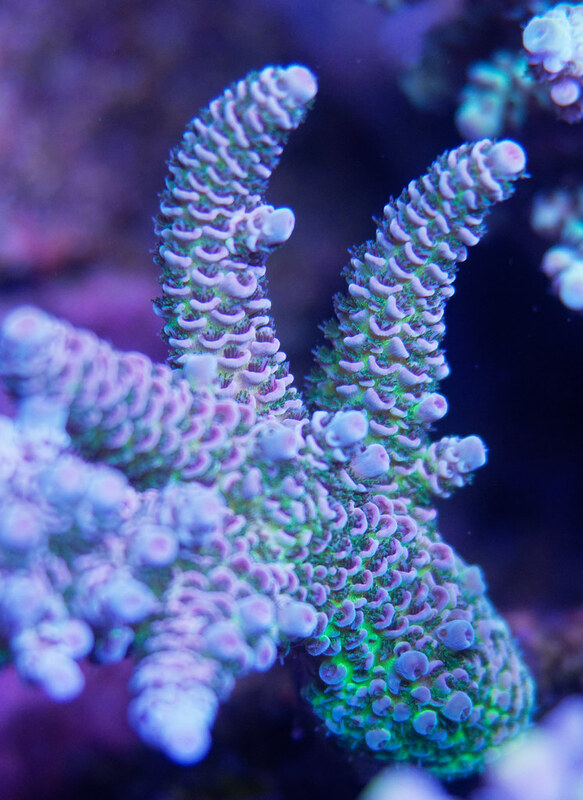 The other corals in the tank look happy, coloured up and with great polyp extension but I'm not taking anything for granted. My tank is infected. Absolutely no idea how they got into my tank. 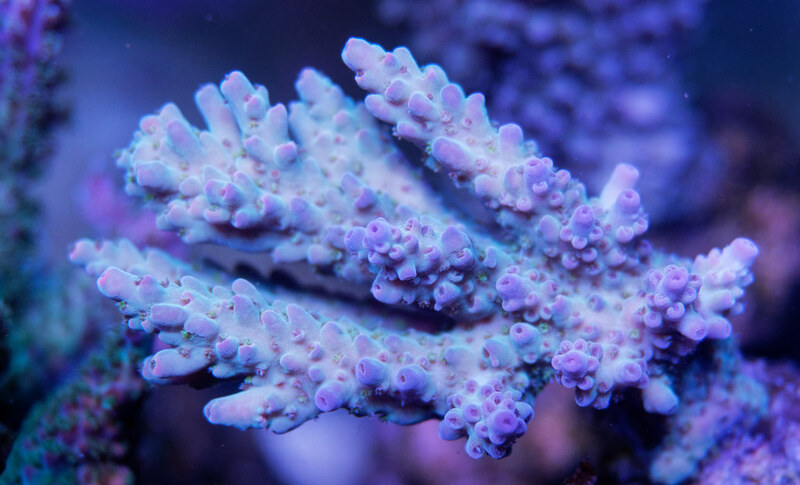 Every wild colony was dipped and inspected and every frag came from a clean trusted source. I only have one maricultured piece and that piece was cut well away from the cement base, and also dipped and inspected. 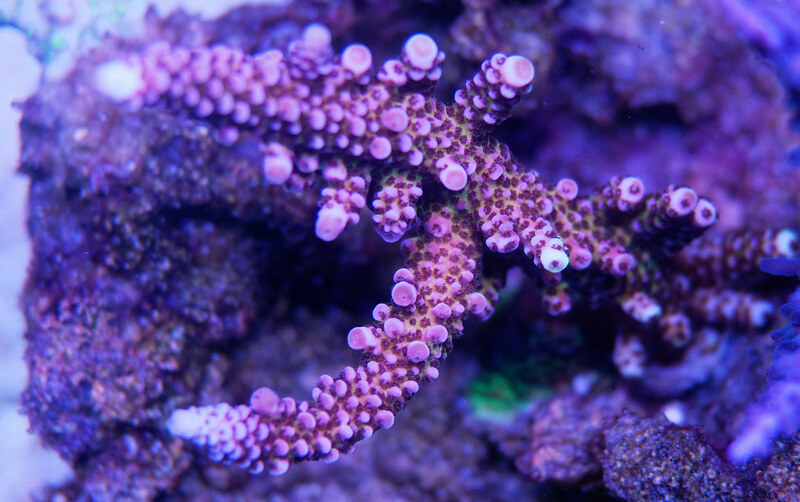 No new colonies have gone into the tank for over 2 months. There's no way I am going to be able to do the 5 week dip routine. 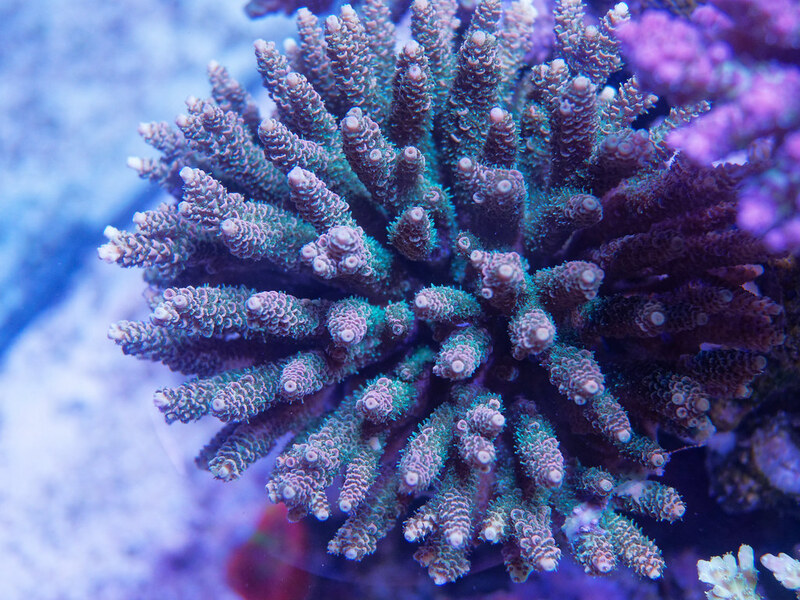 I have well over 50 wild colonies and 20 frags, all well encrusted on the rocks. Ripping them out to dip will likely kill them anyway. 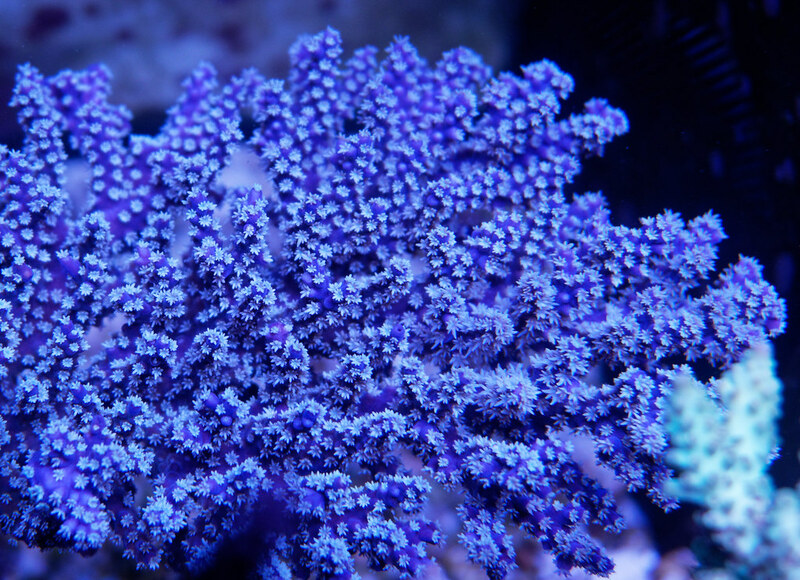 I plan to just stock up on natural predators of the flatworm and keep them in check using KZ flatworm stop and coral booster. 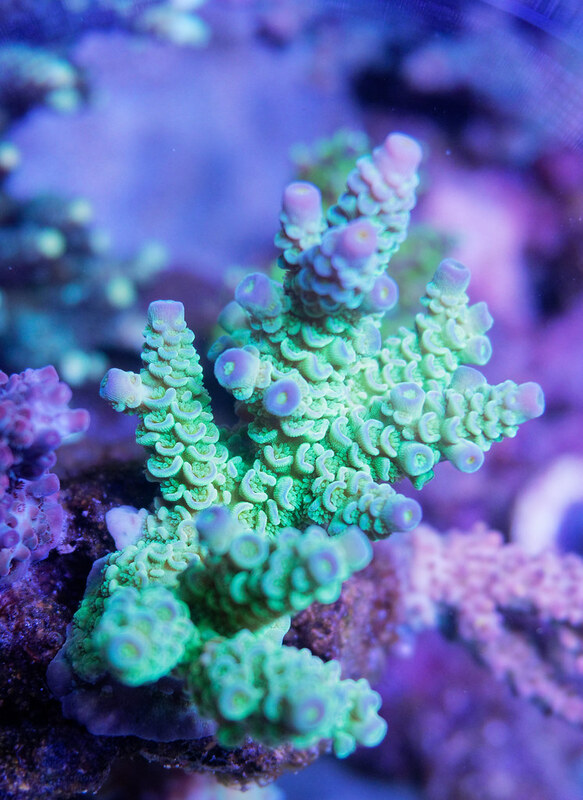 Will not share any frags from trims - they go straight into the bin. Hopefully the tank will do well with the pests under control for a couple of years till its time for an upgrade... next planned upgrade is in maybe 3 years. Will restart from scratch and just transfer the fish over at that time. Feeling totally deflated at the moment... Things were going so well and the tank was just starting to look good. Awesome SPS tank! Thanks for sharing! Photo credit to @LemonLemon, who snapped these lovely pictures when the fish just arrived at Iwarna Aquafarm. First, sorry to hear about your flatworms. Flatworm Stop and frequent basting to blow them into the water column to be eaten by fish can work if you keep at it. Second, love the tygerpye! You have a very nice collection of fish. I understand what you are saying and your feeling. 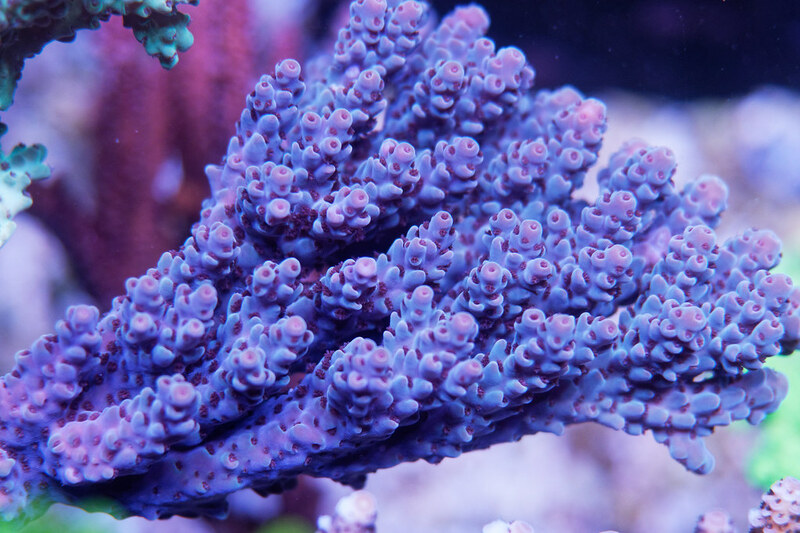 My observation is that less and less people post on reef forums compared to past. People say that Facebook is to blame. I will follow your tank thread more closely from now on. 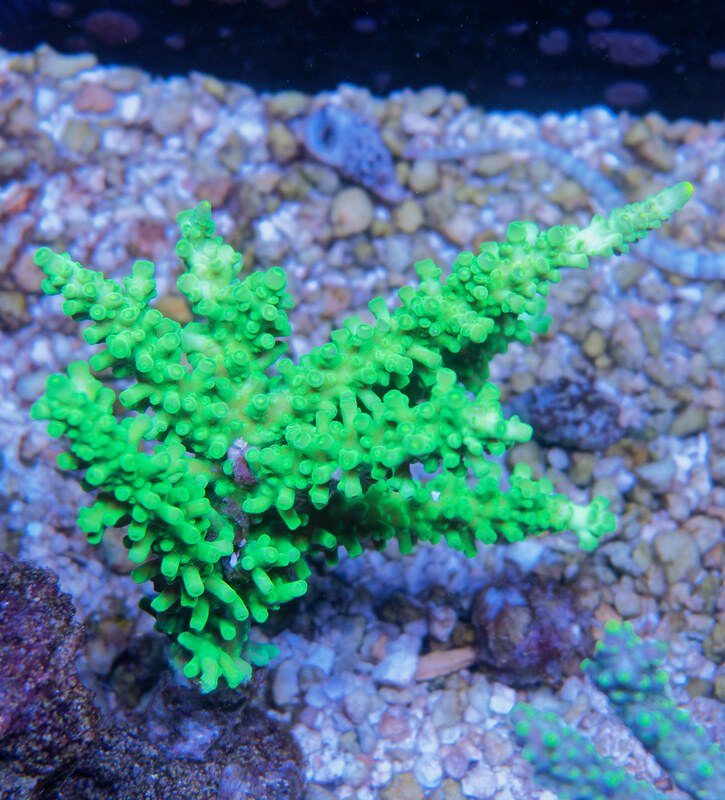 Thank you, flatworm problems are still present but much slowed down. I just threw away another 2 colonies that had bite marks and eggs, but it's been a month since the last time I had to throw anything away. 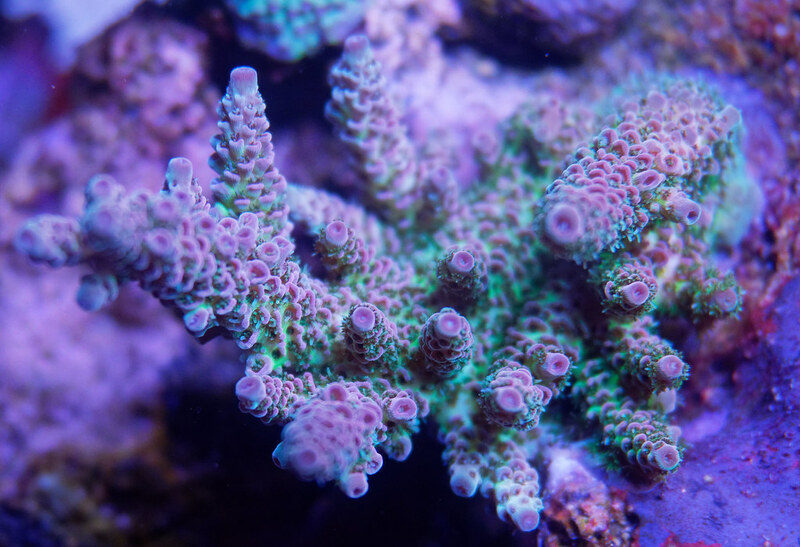 I know it's wishful thinking for it to be gone without any painful action on my part, but I hope it slows down to manageable levels so that I can enjoy my tank with minimal disruption for the next 1-2 years before it's time for another upgrade. 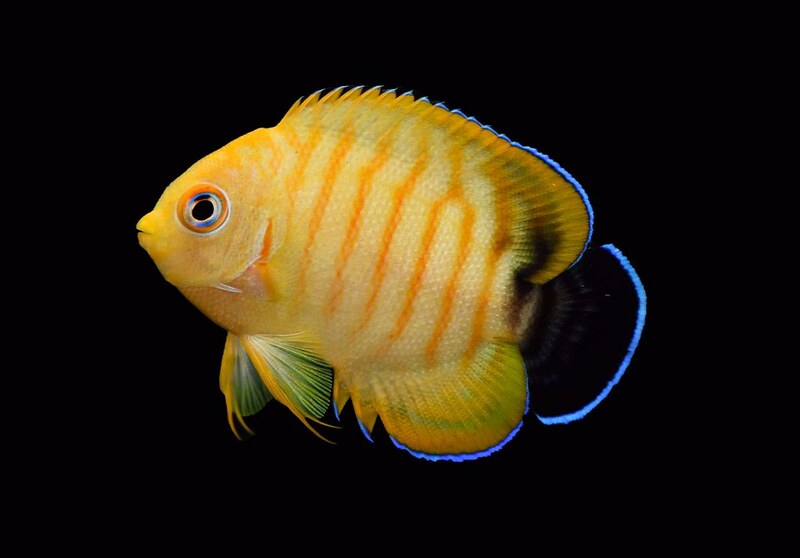 I started off being a "fish person" before I started on any corals, so I'm staying true to my roots - I enjoy collecting nice fish still. Photo dump time! Took these pictures before Christmas, but got caught up with work and preparing the Christmas video, so got delayed in posting them. Pictures are a little on the blue side this round - still learning my new camera. Will tweak the white balance next time. 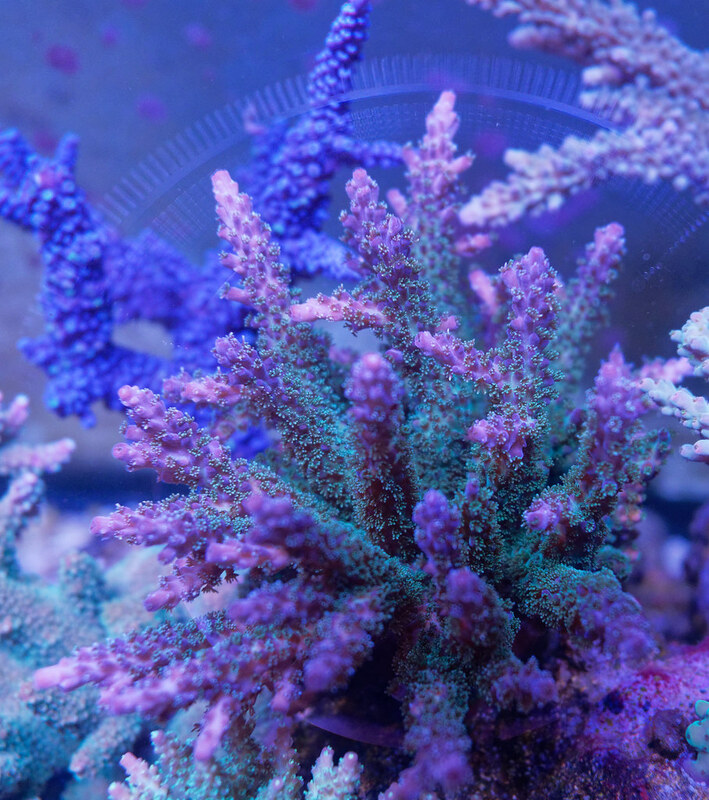 I have quite a number of coral top down shots, so I'll try to categorize them according to source. A very very interesting deepwater colony. When I first got it, it was red with neon green highlights. It is now purple, but has retained the highlights. Recent acquisition from a long awaited Tonga shipment. Bought it as a "Rainbow Nasuta"
Nice pictures. 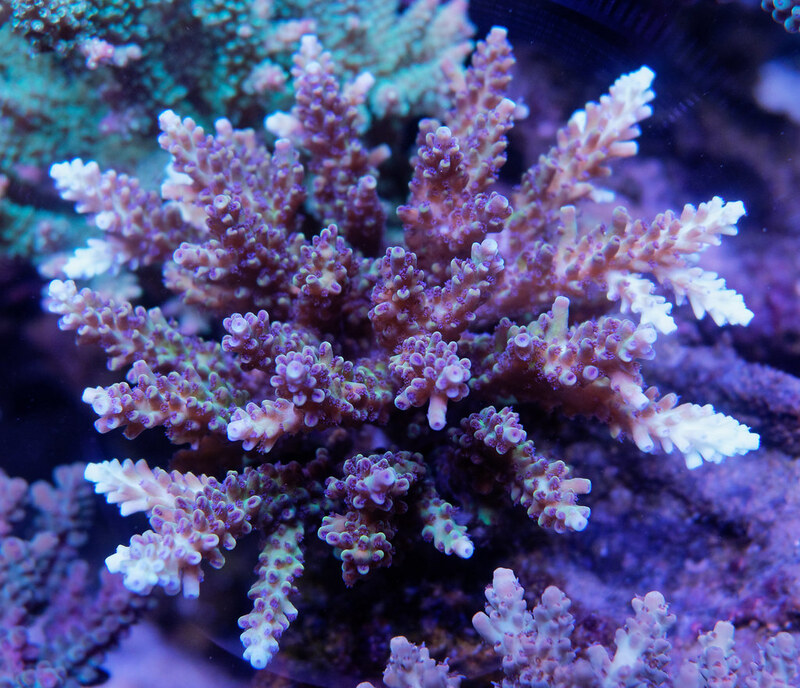 Yes, I agree that the above coral is likely to be A. selago. 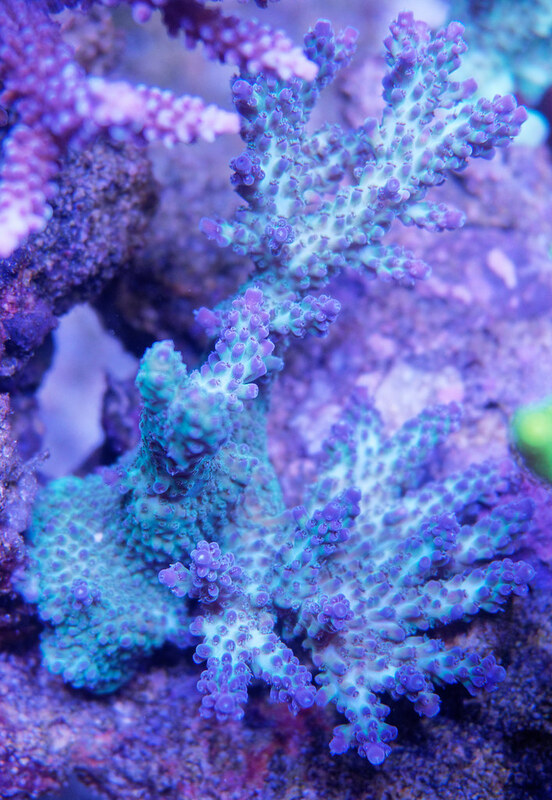 It should exhibit much deeper green pigments though. 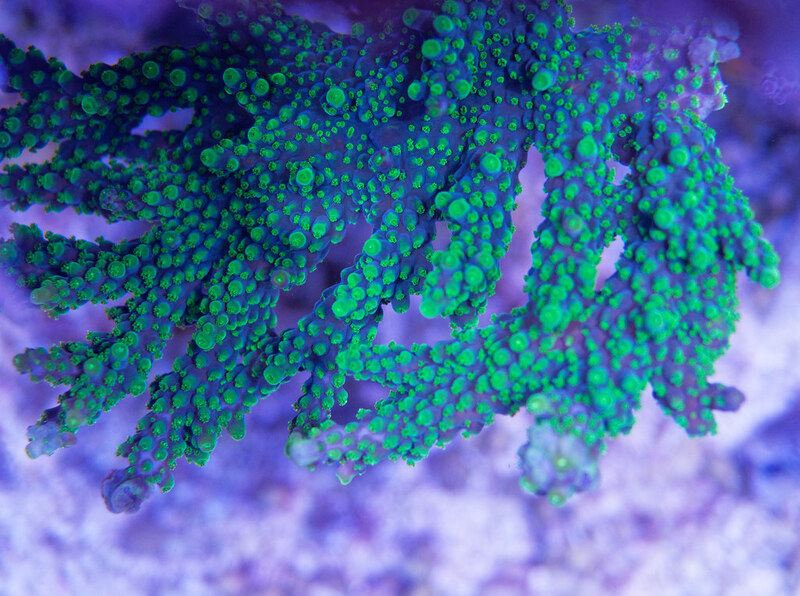 I used to have a frag a long time ago, but lost it. 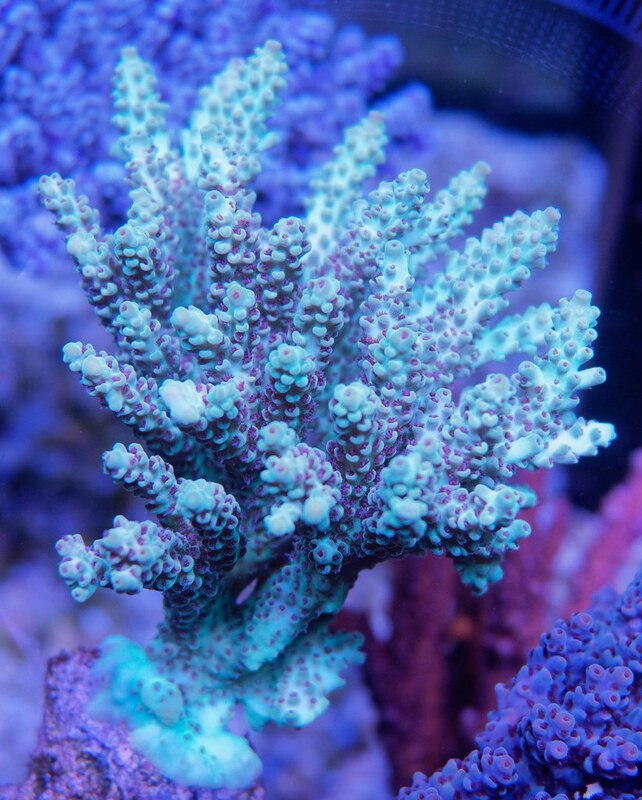 Have you ever considered getting frags and growing them to colonies? I find this more satisfying than creating an instant reef. Sabah wild SPS are notoriously difficult to keep alive, so I'm glad that I managed to keep a couple of colonies. 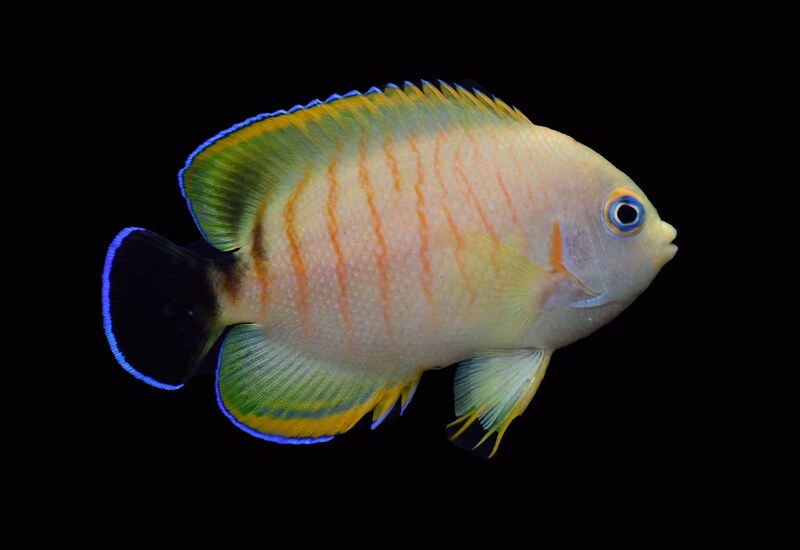 FC "Somewhere Over the Rainbow"
Here in Singapore we get wild colonies in abundance - primarily from Indonesia (Bali mostly and sometimes Sulawesi) and Australia, but also from Fiji, Tonga and Sabah. Frags tend to come from these same shipments I have access to, and cost almost as much as a colony (or with some frag sellers even more than a colony) so it usually doesn't really make sense to get frags over colonies. 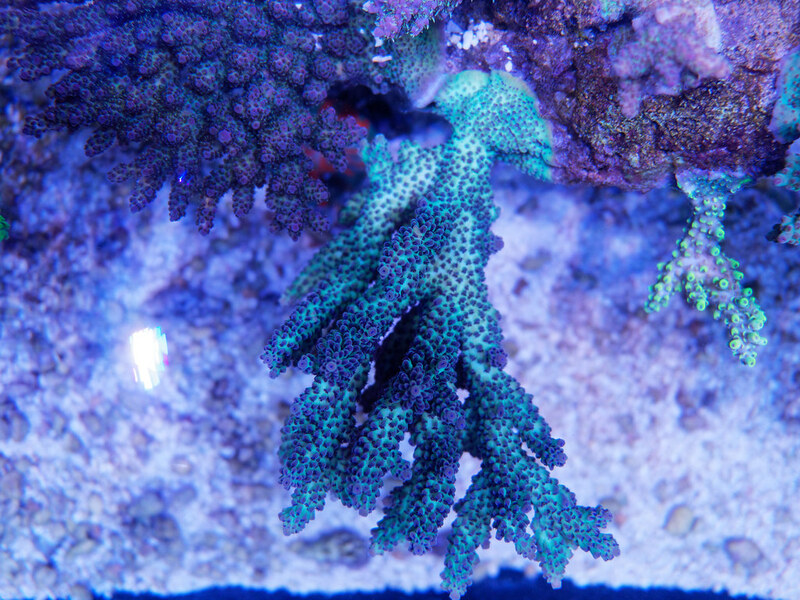 We also get maricultured mini-colonies/large frags, but I tend to prefer the wild stuff over mariculture, partly due to fear of pests and partly due to hating the hassle of chopping off the cement bases. 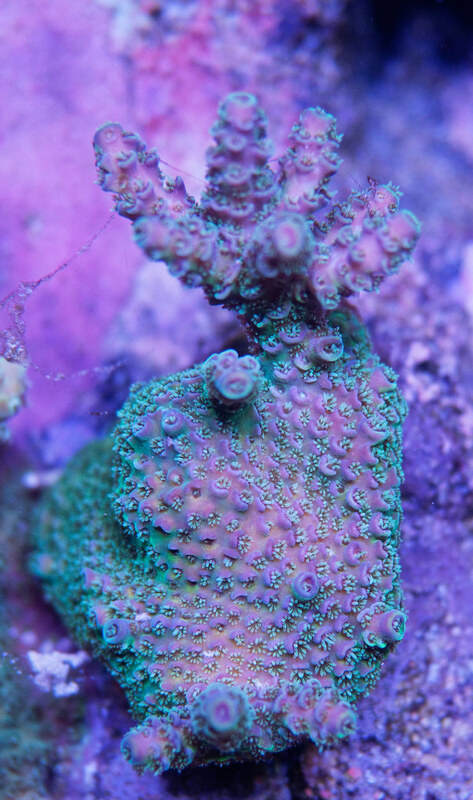 There is 1 frag seller that has beautiful frags and he is the exception to the above. 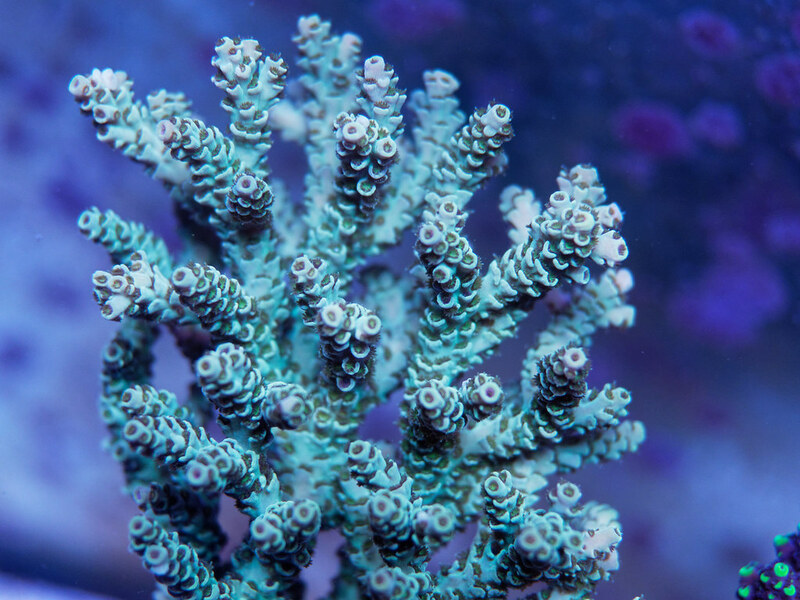 I do get frags from him too (they're featured in the post below yours), but the main source here in Singapore is wild colonies. Your plan sounds reasonable. That said, I want to stress that I have no experience with AEFW or whitespot. Absolutely love the pigmy Angle. Hands done my favorite species of fish. I had several pigmy in my old system and plan a couple in my new one as well. Keep up the good work. My jaw is on the floor. 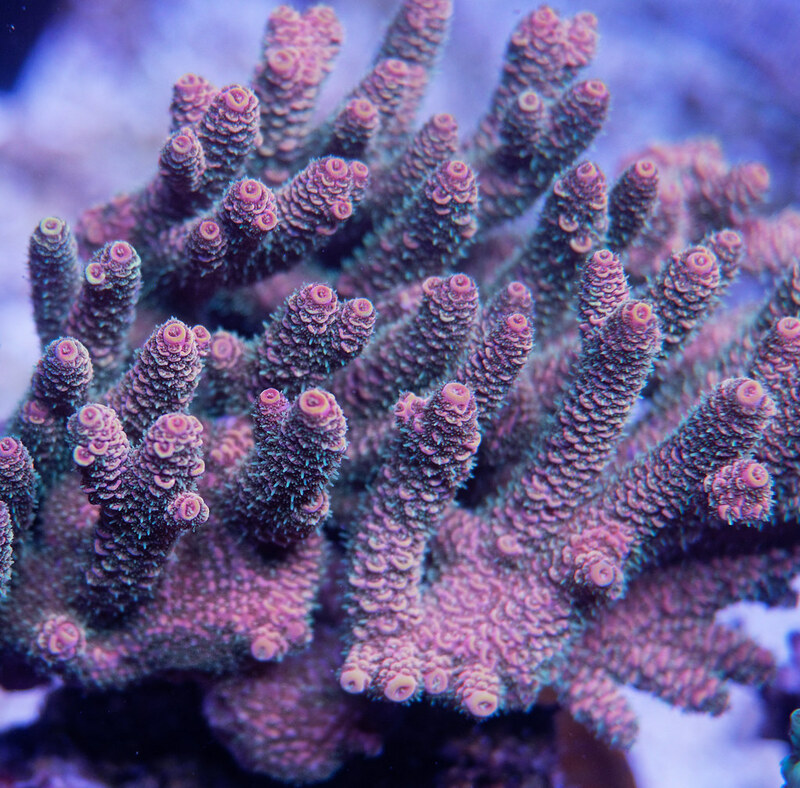 Sweet corals. 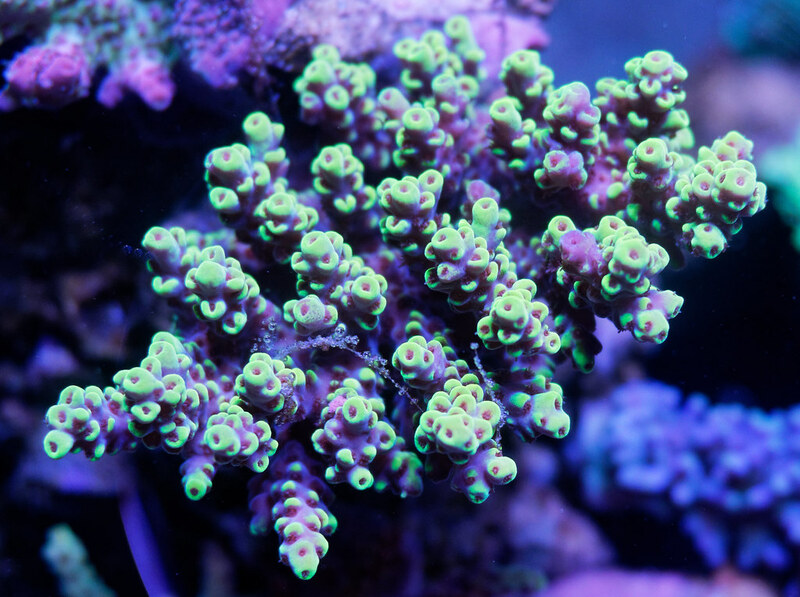 Current Tank Info: 75g sps reef build in the works. Thank you! 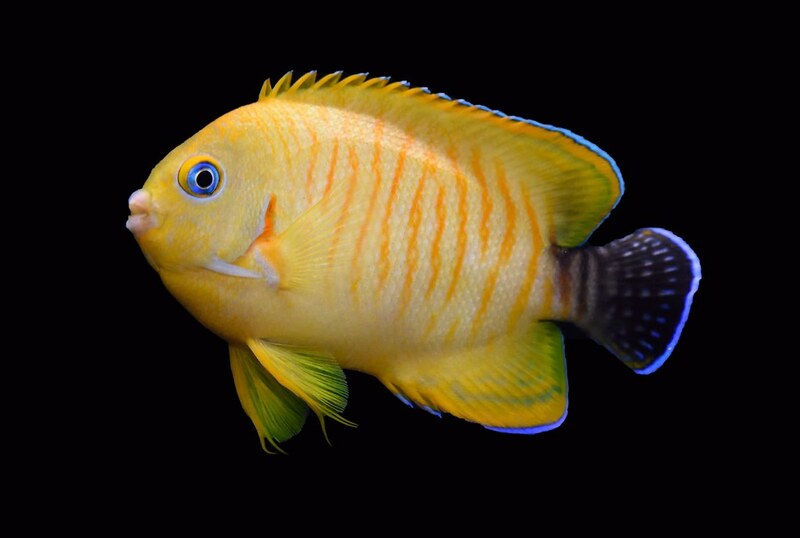 I currently have some freshwater fish in my QT tank till my office tank is ready - once they complete QT and are moved to my office tank, I will repurpose the QT tank for the marine fish and start this long and tedious process. I hope I don't lose too many colonies/frags in the 6 week dipping process!